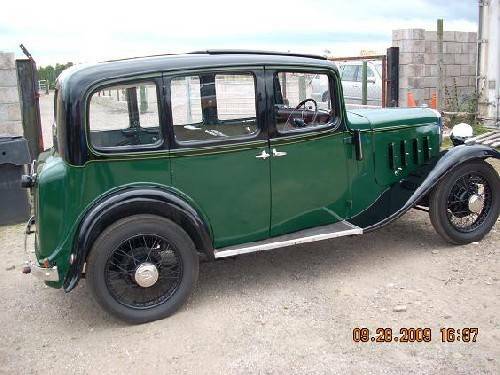 During the early thirties, the car began to become known as the "Heavy 12", to distinguish it from the other, newer, 12HP cars in the Austin catalogue ("Light 12/4", 12/6 etc) and received some updating. The artillery style wheels were replaced by wire spoked ones in 1933 and coil ignition replaced the magneto in 1935. The gearbox got synchromesh on its top two ratios in 1934. The body range was steadily simplified with the last of the fabric covered versions in 1931 and no open cars after 1934.